Daniel Abraham's The Dagger & The Coin is one of my favorite on-going epic fantasy series (previous reviews of vols. one, two and three). It is briskly paced, elegantly written, full of memorable characters and features some innovative world-building. In other words, it's very easy to like and very difficult not to get sucked into. Plus unlike, say, the Malazan series, this one has a gentle learning curve, making it a superb recommendation for newcomers looking to branch out after reading George R. R. Martin. Book #3, The Tyrant's Law, has been my favorite to date, in large part because of how it tackled genocide and ethnic cleansing. (Read the book now, in light of the atrocities committed by ISIS in Iraq and Syria, and you see how Abraham got it right.) But also because of the way Abraham cuts the heaviness with good old fashioned questing fun. In sum, it's an easy-breezy book and a smart/weighty book at the same time--without being trite about the heavy stuff. Warning: Spoilers for The Tyrant's Law and The Widow's House Follow! 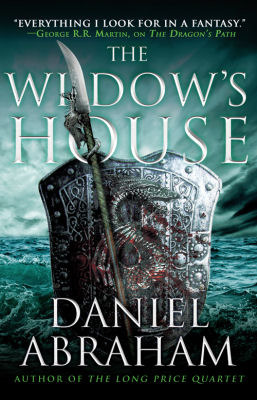 The Widow's House picks up where we left off, with Antea's victorious armies still on the move but getting stretched thinner and are beginning to crack. Dawson Kalliam's son Jorey has been named Lord Marshall by his "friend," the tyrant Geder Palliako, and ordered to march on Porte Oliva, where Cithrin has escaped to after fleeing the conquered Timzinae city of Suddapal (and Geder's romantic advances). Marcus and Master Kit, meanwhile, now face the daunting task of convincing Inys, the final dragon, to fight on their side against Geder and the Spider Priests. To call this a fast-paced adventure would be to do the term a disservice. Usually I'm the kind of reader who sits down for an hour or two, then puts the book down and does something else (but repeats the process regularly everyday). But in this case I was physically unable to stop myself from reading "just...one...more...chapter." And then another. It takes a special kind of story to transform me from my usual plodding self into a binge-reader like Jemmy; this is certainly that kind of story, and The Widow's House even more than previous volumes. At times, though, it feels as if Abraham is pushing the pedal down a bit too hard. I've noted the elegance of Abraham's writing style in the past, and that's still generally the case here. But the prose feels a bit stripped down in comparison to previous volumes, and dialogue overly reliant on witty banter (a stylistic trope of fantasy writing if there ever was one). And the uneveness among the perspective characters that mars the first three volumes is still present: the Marcus and Cithrin chapters are still much better than the Clara ones, though her character has improved over the course of the series. 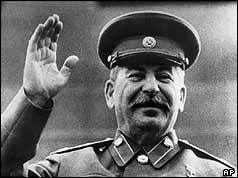 This time, however, it was the Geder chapters that dragged: he's one of the most interesting and unique characters in the series--a likable Stalin, if you will. But the problem of what makes him tick feels even more glaring now than it did the last time around, because whereas Antea was invincible in The Tyrant's Law, basically everyone is screwed in The Widow's House. Antean armies, backed by the persuasive oratory of the Spider Priests, cannot lose; but now, being of limited number and having committed all sorts of atrocities, they can't really keep the territory either. Rebellions pop up everywhere and are especially fierce where Timzinae fight to avenge their massacred and enslaved fellows. Meanwhile, the Spider Priesthood has also fractured, with an "apostate" seizing control of an Antean city and declaring High Priest Basrahip the "true apostate." Basrahip, for his part, thinks this is great. The setup *should* be a great opportunity to develop Geder's character beyond "awkward nerd feels slighted by girl/commits genocide." Alas, the opportunity is missed. At the same time, the setup does work to illuminate the major sociopolitical theme of the book: the self-destructive nature of zealotry, which turns in upon itself as inevitably as it infects the those looking for easy, all-encompassing answers. Abraham literalizes the metaphor through the spiders that infect the blood of the priests; we're told that the spiders sow discord through unwavering belief, to the point where "the tainted" will use any excuse to fight the "unbelievers." It's not subtle, but neither is zealotry. Case in point: human history. That's pretty dark, right? Maybe grim-dark, even? Yes and no. Much has been made about the gritty or "grimdark" turn in fantasy, with battle lines drawn. In two essays (first one, second one), I've suggested the problem isn't in the concept but in execution--that gritty/grimdark fantasy can be very good but often isn't, and that it needs to tackle the meaning and consequences of violence, not just use it to paint in the background. The Dagger & The Coin is, in a sense, both emblematic of the gritty turn in fantasy and anathema to what most people (supporters and detractors alike) think of when they hear the term. It's not gory at all--most violence happens off-stage or is left to the imagination. But the causes and consequences are fundamental to the story being told. It is a gritty story, but told in a purposefully not gritty way. The success of Abraham's approach and execution, I think, marks the series as unique among what's currently being published in fantasy. So it's a good book--a very good book, even. And even though it doesn't quite address the flaws of the series, it does introduce some new wrinkles, while reminding you why you fell in love with this world in the first place. One final thing: Abraham introduces a potential solution to the problem of the Spider Priests at the end of the book. I won't spoil it here, but I will tell you that it traces back to late Medieval/early Renaissance banking (a running theme of the series, and Cithrin's vocation). It's...quite odd. Maybe the next installment will make things clearer, but at present I'm scratching my head a bit, wondering where things are going. Suffice to say, how that develops might impact my feelings about The Widow's House ex post facto. For now, though, I'm willing to assume Abraham knows what he's doing, even if I don't. Bonuses: +1 for being ultra-fast-paced, well-written fantasy adventure; +1 for taking a substantive/non-splatterpornographic approach to dark and disturbing thematic matter. Penalties: -1 for Geder motivation issues; -1 for getting a bit too literal with the metaphors.